Learn more about Peripheral Artery Disease and the treatment options available to you in Pearland, Texas. Peripheral Artery Disease (PAD) is a chronic circulatory condition, which if left untreated can result in unnecessary limb amputations. PAD affects approximately 18 million US citizens, and 160,000 to 180,000 of those patients are estimated to undergo limb amputation this year. By increasing Peripheral Artery Disease awareness and the treatment options available in Pearland, Coastal Vascular Center hopes to improve access to PAD screening and treatments, which is shown to improve quality of life, reduce care costs and prevent limb loss. Coastal Vascular Center encourages members of the vascular care community including physicians, clinicians and patient advocates to use the tools below to spread the word about PAD Awareness month among their colleagues, patients and friends. Together, we can increase understanding of vascular disease to improve the health of many Americans. Contact an Experienced Vascular Specialist. Peripheral artery disease (PAD), is a chronic, life-threatening circulatory condition. PAD causes narrowing or blockage of the vessels that carry blood from the heart to the legs. The primary cause of PAD is atherosclerosis, or the buildup of plaque in the arteries. 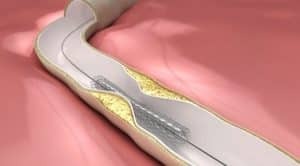 The more plaque that builds up on the inside walls of the blood vessels carrying blood from the heart to legs and arms, the more the arteries lose exibility and narrow, putting patients at greater risk. There are several ways peripheral vascular disease can be diagnosed. If you suspect having the disease see a doctor immediately. During the checkup the doctor will initially check the patient’s legs using one of, or a combination of tests. Ankle-brachial index – the most common test for PAD, it is a test that compares the blood pressure in the ankle with the blood pressure in the arm. Ultrasound scan, angiography, and blood tests – may also be recommended to check levels of cholesterol, homocysteine, and C-reactive protein. Doppler and ultrasound (Duplex) imaging – a non-invasive method that visualizes the artery with sound waves and measures the blood flow in an artery to indicate the presence of a blockage. Computed tomographic angiography (CT) – another non-invasive test that images the arteries of a patient’s abdomen, pelvis, and legs. This test is particularly useful in patients with pacemakers or stents. Magnetic Resonance Angiography (MRA) – gives similar information to that generated by a CT scan, but without the need for X-rays. Angiography – this is normally reserved for use in conjunction with vascular treatment procedures. During an angiogram, a contrast agent is injected into the artery and X-rays are taken to show blood flow and to pinpoint any blockages that may be present. Undiagnosed or untreated PAD can be dangerous. It can lead to painful symptoms, loss of a leg, increased risk of coronary artery disease. Additionally it could lead to carotid atherosclerosis (a narrowing of the arteries that supply blood to the brain). Because people with PAD have an increased risk of heart attack and stroke, the American Heart Association encourages people at risk to discuss PAD with their doctor to ensure early diagnosis and treatment. Peripheral Arterial Disease is also treated using minimally invasive interventional radiology procedures. Angioplasty is when the blocked artery is opened up using a medical balloon, enabling better blood flow. In some cases, the affected arteries need to remain open using a stent, which is a small metal cylinder. This treatment is stenting.